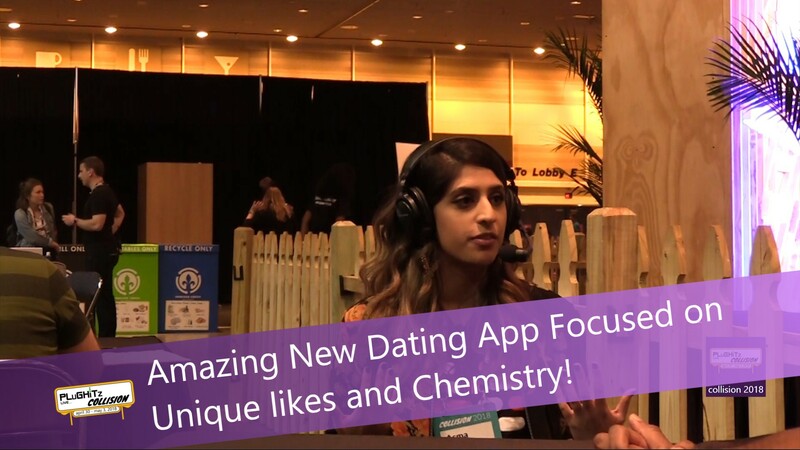 Amazing New Dating App Focused on Unique likes and Chemistry! Once thought of as downright taboo, finding a date using online apps has become completely mainstream. And although some still feel it's pretty strange, the sheer numbers who use them tells the story. Those who use to warn their single friends and family of the dangers of online dating are now not only counting the number of couples they know who met on an app but also using them themselves. But as good as the websites and apps have gotten, there are still quite a few hurdles while trying to find "the one." At this point, what could possibly be done to make the apps better? More checks and balances? More algorithms? Well, the founders of Pheramor say that the answer is truly in the chemistry. Aslam Mirza, co-founder, and CEO of Pheramor, came by to explain this new approach that is designed to provide better dating matches. This exciting new dating app uses genetics and digital data to help make better connections and increase the overall efficiency of dating. Basically, the company sequences 11 specific genes that encode for your immune system. The more diverse these genes are, between two people, the more likely that they will be chemically and biologically attracted to each other. It's rooted in evolutionary biology because we are constantly trying to subconsciously find those that we're attracted to. It's such a great component to add to dating search criteria. They also made the process really simple. For starters, they send you a genetic kit in the mail that contains a buccal swab. You merely complete a quick cheek swab and mail it back and they do the rest. The DNA that is specifically linked to your immune system is extracted. This human leukocyte antigen, along with the compilation of your digital data from social media will be used to create your profile. So your DNA is combined with all of your likes, check-ins, and hashtags to help you make the best possible connections. Get the specifics on this exciting new dating app by watching the complete interview and then head over to their website if you're interested in giving it a try. Amazon Prime gives you more than just free shipping. Get free music, TV shows, movies, videogames and more. Enjoy your favorite books while you work or travel. Get a free book and a 30 day trial with promo code Try70. Scott is a developer who has worked on projects of varying sizes, including all of the PLuGHiTz Corporation properties. He is also known in the gaming world for his time supporting the DDR community, through DDRLover and hosting tournaments throughout the Tampa Bar Area. Currently, when he is not working on software projects or hosting F5 Live: Refreshing Technology, Scott can often be found returning to his high school days working with the Foundation for Inspiration and Recognition of Science and Technology (FIRST), mentoring teams and judging engineering notebooks at competitions. He has also helped found a student software learning group, the ASCII Warriors. Although Michele has worked in the banking industry full time for many years, she originally went to school with a concentration in communications, advertising and marketing. She began her career in sales and retail management, selling electronics and computers. Her love of all things tech eventually brought her back into the electronics arena three years ago when she started with PLuGHiTz Corporation to help with special events as a Production Assistant. Soon she began to dabble with the audio and video and is loving her role as Producer. She's also one of our content writers and assists with product reviews. Looking forward, she is excited to expand her skill set into editing and helping the company continue to grow. Right-click and "Save target as..." to save the file. Click to open in your default media player.